Madison (Ala.) Academy running back Daniel Brent carries the ball during a game against Central-Clay County last November. Although he was his team's leading rusher last season, Brent is expected to play linebacker for UTC after signing with the Mocs on Wednesday. Updated at 12:53 a.m. on Feb. 7, 2019, with more information. Madison (Ala.) Academy running back Daniel Brent runs the football during a game against Central-Clay County last November. The initial recruiting class in the Rusty Wright era is complete — for now. After being hired as the University of Tennessee at Chattanooga's football coach in December, Wright put together a staff that added 18 players to the roster via the 2019 signing class. Three — quarterback Drayton Arnold, running back Ailym Ford and receiver Avery Williams — signed during the early period last month. The rest came on board Wednesday, the start of the traditional signing period. Wright and his staff fulfilled their main goal for this week, which was to keep each of the 15 players who had committed to the Mocs. "I think our staff did a great job in basically 15 days," Wright said, referencing the amount of remaining recruiting time allowed by NCAA rules once his staff was in place. "We had to get guys on campus and start building relationships quickly, and we were able to do that. "We started out with a bunch of names and a bunch of guys. After about a week and a half, we really focused in on a select few. We got those guys on campus and had an opportunity to be around them and develop some better relationships." The headliners of Wednesday's signings were quarterback Gio Richardson from Florida and defensive lineman Marlon Taylor from Georgia. Richardson was rated a three-star prospect by 247Sports.com after passing for more than 4,500 yards, rushing for more than 1,000 and producing 76 touchdowns in three years as a starter at a pair of schools in South Florida. He had previously committed to Florida Atlantic University. Wright noticed something else about the 6-foot-1, 195-pound dual threat. "The biggest thing with that young man is he's a leader," Wright said. "You can watch him on film and you can watch him in a room of people, and they all gravitate to him. "He's a kid who can do a lot of different things. He can run the football, he can throw the football. His skill set is a little more comparable to a Russell Wilson type, though maybe not as much running around. We're excited about Gio, really excited." Taylor (6-3, 275) was the Region 2-AAAAAA defensive player of the year at Glynn Academy in Brunswick, where he had 10 sacks, 20 tackles for loss and 17 other quarterback hurries as a senior. Wright was asked if Taylor could be the next great UTC defensive lineman, on the heels of recent stars such as Keionta Davis, Isaiah Mack, Derek Mahaffey and Davis Tull. "We stole one right there," Wright said with a smile. "He's a good football player and a great kid. Marlon has all the tools to be the next great one. He has a good motor, good pad level, good hands, feet. "I couldn't tell you why, but I'm glad he's with us. There are going to be a bunch of people at other schools upset he's with us, but that's OK."
Two aspects of the class stood out to Wright, who noted the program could sign more players in the coming weeks. One, that the class has 10 players who earned academic honors and two, that it has several athletic players who are projected to play positions new to them at the collegiate level. "I can tell you what a five-star guy looks like," Wright said. "At our level, we have to project guys more, because we aren't getting five-stars. Our job is to identify them, develop them and get them in positions to help us. This class has a lot of guys who are athletic, who are long and who run. We may not know where exactly they will play, but we know they can play somewhere. "It's my first class and I'm excited. I mean, having your first quarterback commit and just getting that first commitment is exciting. We are pleased with today and are thankful these young men have made the commitment to come to Chattanooga." Wright's first signing class has 18 members, including three who signed during the early period in December. It includes players from six states, with Georgia having the most with six signees. By position the breakdown is two quarterbacks, three running backs, two wide receivers/tight ends, three offensive linemen, two defensive linemen, three linebackers and one long snapper. 6-0, 195, Myrtle Beach, S.C. (Old Dominion): As a graduate transfer, this December signee is eligible to play immediately. Last season, he played in two games for FBS and Conference USA member Old Dominion. He was a three-star recruit, according to 247Sports.com, and rated a two-star recruit by ESPN. He came out of the prep ranks as the No. 53 dual-threat quarterback, according to ESPN, and the No. 32 recruit in South Carolina. He had 8,514 passing yards and 104 touchdowns as a high school player and led his team to two state semifinals appearances and a state title as a sophomore. 6-5, 300, Pinson, Ala. (Clay-Chalkville): The two-star prospect chose the Mocs over offers from several programs, including Football Bowl Subdivision members Florida Atlantic and South Alabama as well as Football Championship Subdivision members and UTC Southern Conference rivals Mercer and Western Carolina. He earned all-region honors and is a member of the National Honor Society. 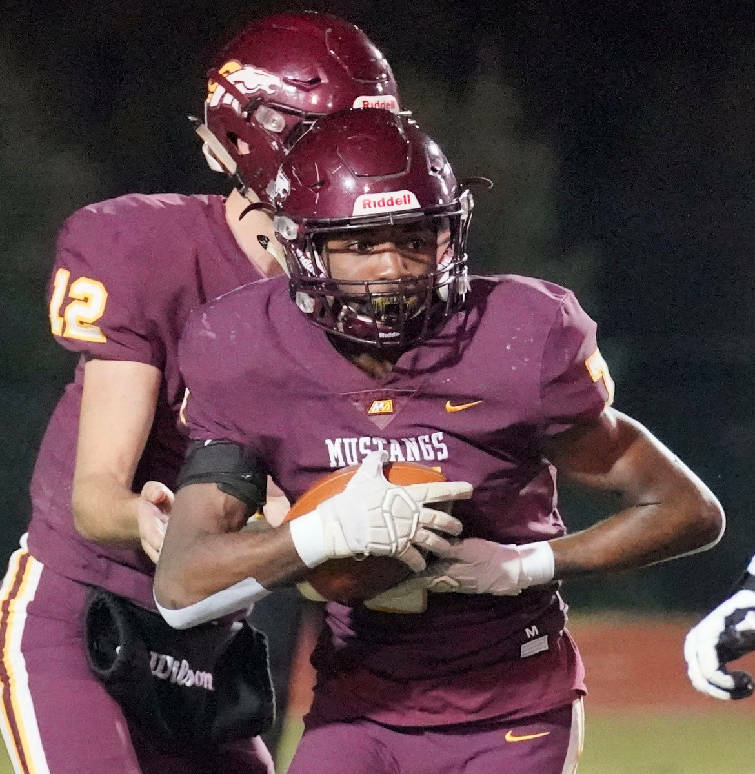 6-1, 180, Madison, Ala. (Madison Academy): He played for former Boyd-Buchanan coach Grant Reynolds at Madison, where he was a team captain and all-region defender after posting 59 tackles, two sacks and six tackles for loss in nine games as a senior. He also was the Mustangs' leading rusher with more than 700 yards and scored 11 touchdowns. In track and field, Brent earned a state championship in 2018 as part of Madison's 4x100 relay team and is the school's record holder in the long jump. 6-0, 180, Mobile, Ala. (Theodore): A rangy cornerback, he had seven interceptions and 13 other pass breakups as a senior to go with 45 tackles. He had 59 tackles and six interceptions as a junior, finished his high school career with 16 picks and has excelled on special teams as well. He has also been an all-area basketball player and an honor roll student. 6-4, 200, Trenton, Ohio (Edgewood): The Mocs project Brown to be a solid end after playing linebacker in high school, where he was an all-state honoree and was the Southwest Ohio Conference player of the year after leading his team in tackles and getting OVERSET FOLLOWS:four sacks. He was also named a first-team all-star in the Greater Cincinnati and Northern Kentucky areas. Brown, who also lettered in basketball, participated in the Ohio North-South All-Star Game. 5-8, 210, Florence, S.C., (West Florence): The Mocs' first recruit of the 2019 class actually signed when there was no coaching staff in place in December, after Tom Arth left but before Wright came on board. A two-star prospect, according to 247Sports.com and Rivals.com, he was a two-time all-state running back and was a finalist for the South Carolina Mr. Football Award. He rushed for 2,460 yards and 33 touchdowns while leading West Florence to an 11-2 season in 2018, participated in the Shrine Bowl and was the Palmetto Champions back of the year. 6-1, 205, Venice, Fla. (Venice): An all-area running back in Florida's Class 7A, he rushed for 1,489 rushing yards with 35 touchdowns in 14 games. He played only the first half in six games due to substantial leads. His team reached the semifinals in a playoff run that included two five-touchdown games by Gregory. He was injured most of the 2017 season and came back with six games to play to post 876 rushing yards and 12 scores. He earned the school's Renaissance Student Award given to an outstanding student in the senior class. 6-6, 240, Logan, Ohio (Logan): Due to his size and athleticism, Hall will get a chance to show what he can do on the offensive line after being one of his high school's best defensive lineman and a starting tight end. He posted 26 tackles and two sacks his senior season and earned all-district honorable mention as a junior after making 38 tackles and seven catches for 82 yards with three touchdowns. He also was all-district in track and field as a junior. 5-10, 185, Norcross, Ga. (Norcross): He had 820 all-purpose yards, including 526 rushing, for a team with a deep backfield this past season. As a junior, Jackson helped North Gwinnett win a state title, and he also lettered in basketball and track for the Bulldogs and earned a place on the school's honor roll. His father, Milton Jackson, was a receiver at Notre Dame. 6-0, 175, Florence, Ala. (Florence): Lee was an all-state performer in Alabama's Class 7A after posting five interceptions, breaking up 10 passes and blocking four kicks in 2018. His long arms and legs fit the bill for what the Mocs went after in secondary signees. At Florence, he was known for his man-to-man coverage skills. 6-3, 200, Dillon, S.C. (Georgia Military College): This transfer figures to receive early playing time after registering 514 yards and four touchdowns on 30 receptions for GMC last year after a freshman season in which he had 240 yards and four scores. He was a two-time all-state receiver at Dillon High School, which he helped win a pair of state championships, and he also earned all-star status in track. 5-11, 225, Marietta, Ga. (Pope): He fills a major need for this recruiting class and comes with a reputation as one of the top long snappers in the South. He started for three seasons and was a two-time special teams MVP at Pope. He was named county special teams player of the week on five occasions. He has a 4.0 GPA. 6-5, 250, Fort Valley, Ga. (Peach County): Perry played for one of Georgia's most successful programs, helping lead the Trojans to the Class AAA state championship game in 2018. Their offense averaged 37 points per game and produced 4,800 yards while playing in a tough region, and their title run included a semifinal victory at top-ranked Calhoun. 6-1, 195, Wellington, Fla. (William T. Dwyer): A three-star prospect, according to 247Sports.com, he was a three-year starter in South Florida and had previously committed to Florida Atlantic. Other programs that offered him a spot included Buffalo, Southern Mississippi and the University of Alabama at Birmingham. Scout.com rated him the 47th-best dual threat quarterback in the country and one of Florida's top 300 recruits. As a senior, he passed for 1,500 yards and 15 touchdowns while guiding Dwyer to the Class 7A regional finals. He ended his prep career with more than 4,500 passing yards as well as 1,085 rushing yards and 76 touchdowns. 6-1, 200, Atlanta (North Atlanta): Sanders is another player the Mocs will try to develop at a position he didn't play in high school. He was a receiver and safety for North Atlanta, posting 1,003 receiving yards, 1,700 all-purpose yards, 23 touchdowns and three interceptions as a senior. Wright believes Sanders will grow into a linebacker, where his athleticism should be elite. 6-3, 210, Manchester, Ga. (Manchester): Stanford is one of several freshmen who faces a likely position change. He played several positions in high school — though mostly safety on defense — but UTC coaches see him growing into a linebacker with elite athletic ability. He also lettered in basketball as well as track and field. 6-3, 275, Brunswick, Ga. (Glynn Academy): An interior linemen with a penchant for getting to the quarterback, he was the Region 2-AAAAAA defensive player of the year this past season. Among his 42 tackles in 2018 were 10 sacks and 20 stops for loss with 17 other quarterback hurries. He also lettered in track and field and is an honor roll student. 6-1, 170, Brentwood, Tenn. (Brentwood HS): The Mocs' third early signee, he was an all-state receiver who was named to all-region teams twice. A two-star prospect, according to 247Sports.com, he led the Bruins to the region championship with an 11-2 mark as a senior. He also lettered in basketball and track and field, where he excelled in the triple jump. He has a brother who plays for SoCon member East Tennessee State, and his uncle, Richard Taylor, played for the New York Jets. Contact Lindsey Young at lyoung@timesfreepress.com or 423-757-6296. Follow him on Twitter @youngsports22.